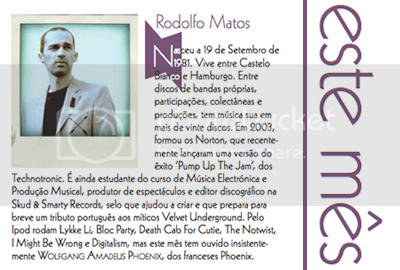 DIF is a free magazine available in Portugal that show what is going on in urban culture. It´s about the newest and most recent happening, talents and fresh ideas in music, fashion, design, architecture, technology, visual arts and performance arts. 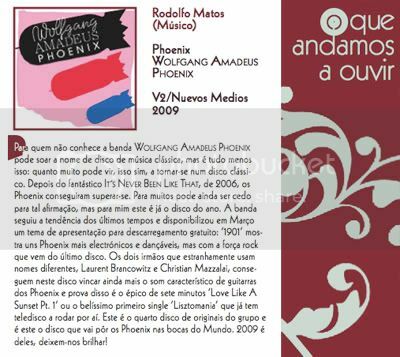 À primeira, lembra-nos o tal Amadeus...depois Daft Punk a saber a Air...se puderes, desliga o som. Liga-o de novo!